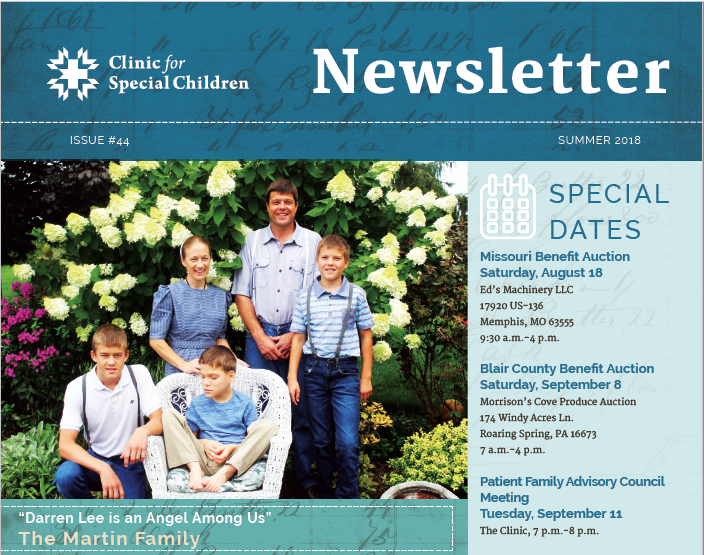 In this edition of the CSC newsletter, read about the Martin family’s inspiring journey with Kleefstra Syndrome. 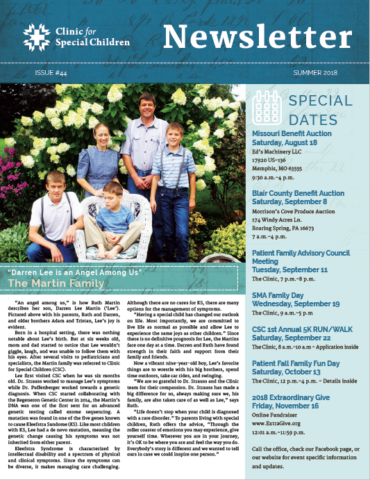 Also in this issue is the story of Margaretha whom the Clinic met while on a medical mission to Mexico and Drs. Matt Demczko and Mike Fox returning to CSC. Additional spotlights include our upcoming events, Clinic staff announcements, carrier testing FAQ, our collaborators from Children’s Hospital of Pittsburgh, a embroidery company from Oklahoma supporting the Clinic stitch by stitch, and our 2018 Fall Family Fun Day!